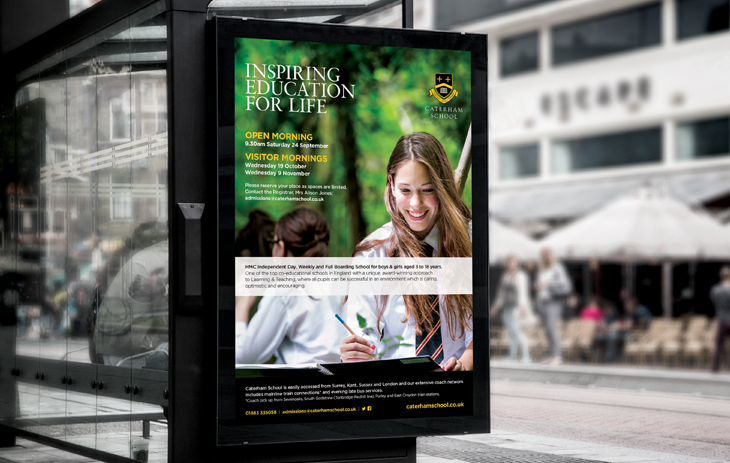 To carry out a thorough brand audit of all existing school marketing materials, to refresh the existing brand identity and create a new suite of literature that positions the school as one of the top co-educational schools in England. We created a strong and well-structured design solution for all internal and external communications and a brand toolkit for easy in-house implementation of day-to-day applications. New photography, key messaging and a more confident tone of voice now highlight the key aspects of the School across all materials. 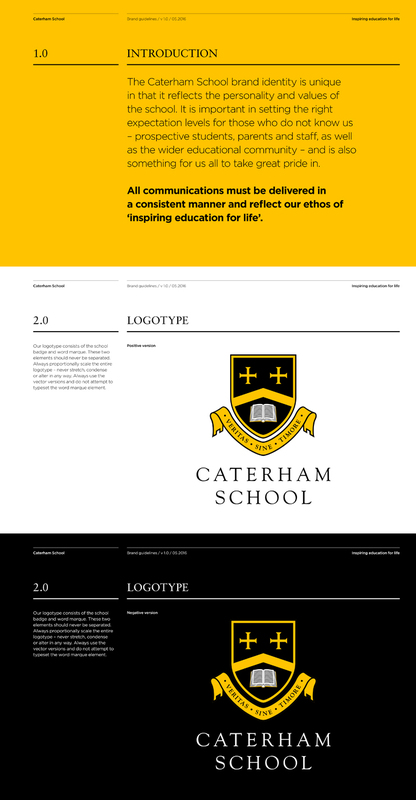 A coherent and confident suite of identities and marcomms that all combine to reflect the Caterham ethos of ‘Inspiring Education for Life’. 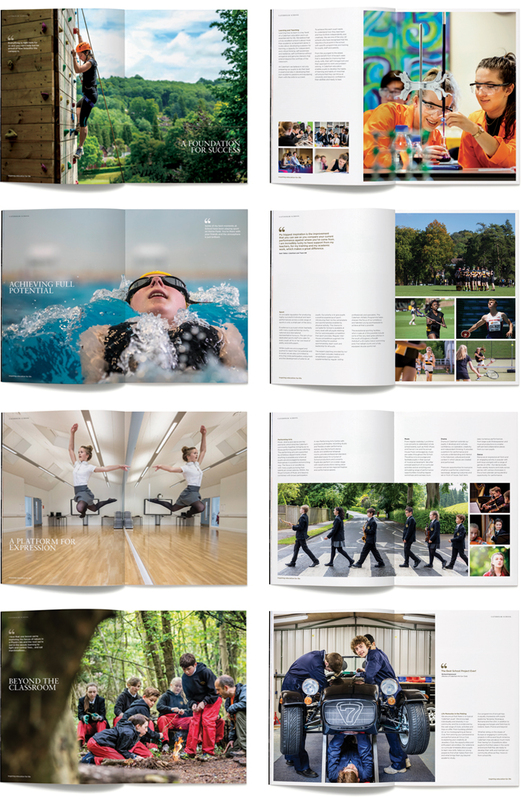 The admissions pack makes the best use of photography to encapsulate the wide variety of opportunities on offer at the School.